I’ve now seen first hand some compacted soils on the moor. We spent some time looking at some soils which should have good drainage qualities opposed to the peat water logged soils higher up. The compaction means that the water cannot flow into the profile as there is a layer of compressed (gleyed) soil which is impermeable – as a result this soil has a perched water table. When it rains hard the water flows across the surface and down the hill side. The Environment Agency are interested in ameliorating this so that flooding incidents in Peter Tavy can be reduced. 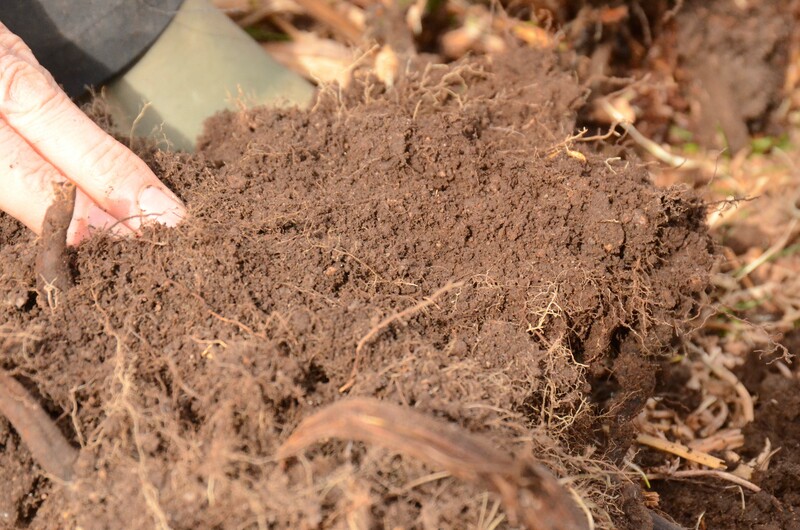 Here is a soil from the Moor Gate series which is not compacted – the soil is friable to the touch and shows no signs of compression or gleying. Heavy rain on this soil will flow down through the profile and not across the surface. The general theory is that the compaction at say, Peter Tavy Common happened between 1960-1990 and main suspects were cattle and ponies. The question now is do these soils have the capacity to repair themselves or are they permanently damaged? These compacted soils are often very acidic and as a result possess very poor soil faunas which could potentially undo the damage. I would be interested to know whether the last 60 years of atmospheric nitrogen pollution has lowered the pH of these soils and as a result reduced the soil fauna’s ability to repair the soil structure. 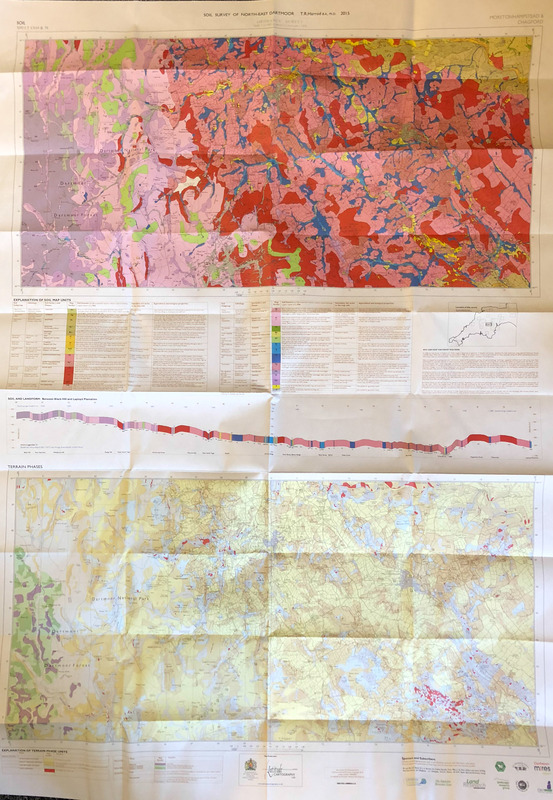 Unfortunately I cannot find anything in the literature to evidence a progressive lowering of pH in upland soils over the past 60 years – does anyone know of any evidence for this? Soils are now very high on Defra’s agenda and it seems that answering questions like this and finding a remedy for such upland soil compaction is a high priority. However there is a problem. 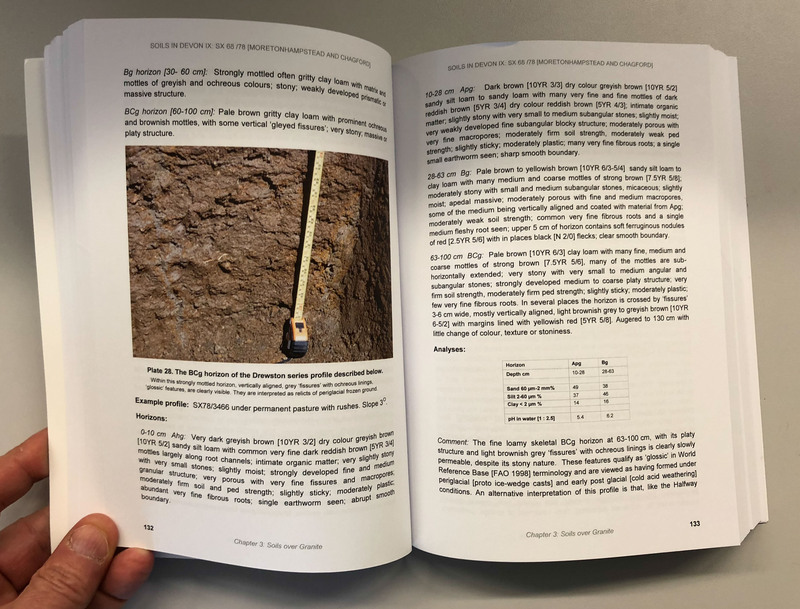 The organisation that could have answered this question The Soil Survey of England and Wales has been disbanded (1987) and today soil science is a low profile academic discipline meaning that there are very few qualified professionals around to carry out such studies. This has mean that the publication of ‘Soils in Devon IX Soil Survey Record No. 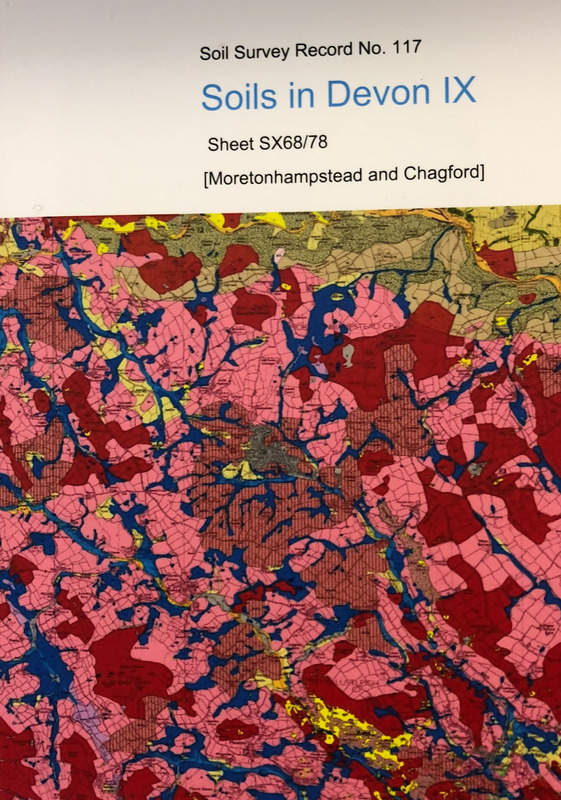 117 by Dr Tim Harrod has been undertaken pro bono by a retired soil scientist from the former Soil Survey of England and Wales. It is a majestic piece of scholarship which should have been funded by the State and not by crowd funding! Defra undoubtedly needs to invest in soil science and soil scientists as otherwise solutions to problems will all too often be based on speculation (as above and here) and not science. 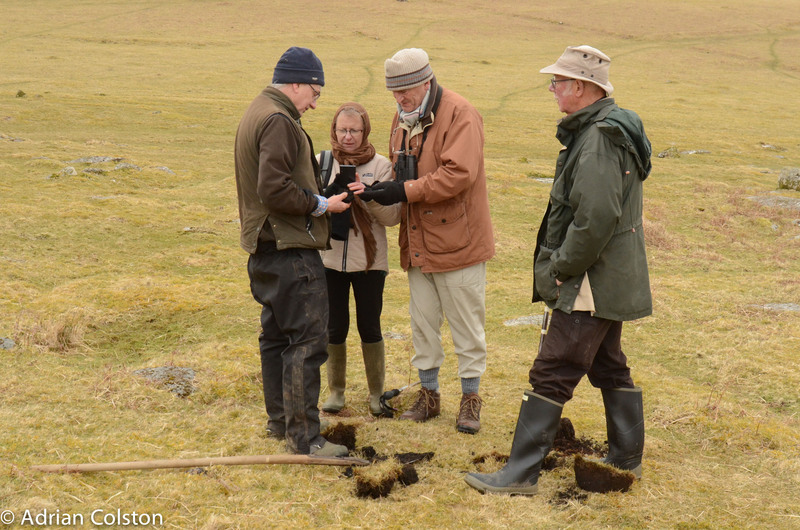 This entry was posted in Atmospheric pollution, Dartmoor Farming and tagged Dartmoor, Peter Tavy Common, Richard Smith, Soil compaction, Tim Harrod. Bookmark the permalink. Scientists at Aberystwyth University’s Institute of Biological, Environmental and Rural Sciences (IBERS), are working with partners at Rothamsted Research North Wyke in Devon to develop new grasses that enable grassland soils to capture increased volumes of rainfall, thereby reducing the risk of flooding downstream. SUREROOT, a five-year £2.5 million LINK project is funded by the BBSRC (Biotechnology and Biological Sciences Research Council), and match-funded by a range of industrial partners from across the food production spectrum, including a seed company, a major retailer and the meat, poulty and dairy industry. Large areas of the UK are facing continued and widespread threats from flooding that damage UK homes, and are causing the UK economy and agricultural production significant losses (e.g. an estimated £600 million in 2012). Many of our river catchments are upland grasslands predominating in the wettest areas of the UK. If the rates of surface run-off could be reduced and rainfall captured more effectively by grassland soils, then the worst impacts of heavy rainfall down-stream may be reduced. The SUREROOT project builds on earlier BBSRC funded research published in 2013 in the Nature Journal Scientific Repots where it was reported that a forage grass hybrid known as Festulolium and designed originally for livestock agriculture, also held a hidden underground and previously unknown property. Professor Mike Humphreys of IBERS, leading the project said: “Festulolium which are defined as natural hybrids between ryegrass and fescue species, are very much the grasses for the future. They are the way ahead for sustainable livestock agricultural practices. 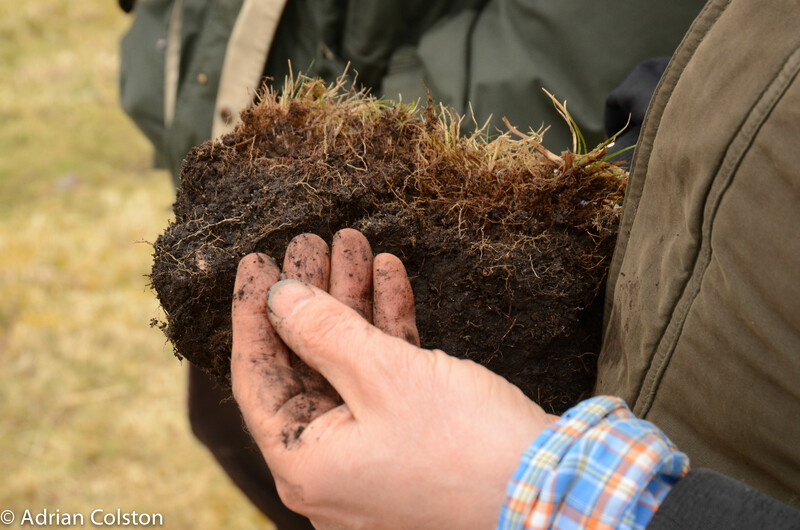 Their grass root soil interactions instigated a change in soil structure leading to increased water retention with a prolonged and significant 51% reduction in rainfall run off compared wtih equivalent grasses that were grown alongside and that are currently used extensively throughout the UK. SUREROOT will assess the efficiency and effectiveness of these and toher new grasses, both for their agricultural production under a range of alternative livestock management systems and for their flood mitigation properties at different locations in the UK and at different scales. Changes will be made to grass and clover root architecture and growth patterns, and their impact on soil structure and hydrology will be evalutated if reproduced widely at the field scale. If the initial positive findings are replicated on a large scale, this points to a significant breakthrough in flood alleviation. The grass and clover varieties being bred at IBERS are increasingly being developed for their holistic properties that serve both to safeguard agricultural production at a time of climate change and to provide an additional ecosystem service. Climate smart agricultural approaches are required to take advantage of the new developments. Jane Hawkins is overseeing the trial of Surefoot ( Abernyche) at North Wyke. Dartmoor Soc visited in summer before the sowing in a trial with four different sections of the buffer strips. 5 sapling deciduous trees , willow that can be harvested, Aberniche and perennial ryegrass. The IBERS festukalolium shows an increase of draining rainfall at over 30% compared to ryegrass. Defra financed strips on slopes that are running into tributaries. How do Tim Harrods maps compare with Sofie Lakes maps on the DS website? Also how does Moortownfarm Farm at Gidleigh assess the different areas?